CanadaVet.com Blog: Only days until the 2011 Annual CanadaVet Pet Photo Contest Begins! Only days until the 2011 Annual CanadaVet Pet Photo Contest Begins! There is now only a few days until our 2011 CanadaVet photo contest begins. If you haven't already got your photos ready now is definitely the time for some last minute camera action. The contest starts on Monday, March 7, 2011 and closes at Midnight, April 7, 2011. 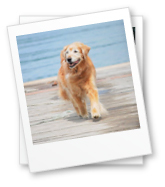 So now is the time to start choosing which photos of your pet you will be submitting and be ready to enter them on Monday either on the CanadaVet Facebook Page or by filling in the submission form. Only five entries are allowed per person and all entries will then be moved into a special photo album on Facebook after submission for ease of viewing and voting. We wish everyone the best of luck and are looking forward to seeing some great pictures of all your pets!